5 ways to get more revision done! Let’s do the maths. If you only did 20 minutes extra study every day it would total 2.5 hours every week. That’s 5 hours every two weeks and 10 hours every month. Stop and reflect on the difference this could make to your progress. If you know at the end of the school year you will have exams and you work on the 20 minute kick start every day for 8 months- you could have accumulated around 80 hours of study by the time the exams start. Just imagine what you could accomplish with 80 hours extra study under your belt. Chunks of time very quickly accumulate if you are consistent and try to add to your ‘timebank’ every day and even if your exams are looming in the very near future there is still time to make a difference. The trick is to stop thinking about studying and actually study the thinking. You may be thinking that it sounds great for other people but that you simply don’t have the time. I am here to tell you that you do. You have masses of time, you just need to know how to use it wisely. If you set your alarm 30 minutes earlier than you usually start your day, you have time to get yourself settled and then complete a twenty minute study burst even before you get dressed in the morning! This is the ideal time to revise key concepts or watch short videos that will consolidate your learning. Record yourself reading out class notes. I usually do this in a range of terrible regional accents to make myself smile. The simple act of reading the notes aloud helps the information become more embedded in your memory- plus you can then listen to yourself whenever you have a few spare minutes. It’s a great idea to send yourself to sleep listening to your notes too. Why not let your brain do the work while you are dreaming! By the way this is also a useful cure for insomnia. Personally I wouldn’t take my textbooks with me into the bath because I’m super clumsy and likely to drop them into the bubbles but I have often taken revision notes and cue cards with me. Sometimes when I have no study materials physically with me I even test myself while luxuriating in the bath or washing my hair in the shower. I try to remember everything I know about a particular topic or imagine myself giving a presentation about key concepts and think about how I would explain them as clearly as possible to my classmates. Take study notes or a textbook with you wherever you go. That way you can study when travelling by bus or train, you can find a comfy spot in a coffee shop and read through your notes whilst savouring something yummy or revisit some key ideas or concepts while waiting to meet a friend. You can use time standing in a queue to access notes on your phone if you use a cloud based storage system to take your notes in the first place or have pictures on your phone of handwritten notes and mind maps that you can easily review. Of course you could also listen to yourself reading out your notes as highlighted at step 2! 4. Make a plan….then stick to it! Lots of students I have worked with over the years have been very good planners. They have been able to show me colour coded schedules that comprehensively mapped out their study schedule. The problem has been, however, that they have struggled to actually follow the plan and there are several reasons for this. Procrastination is one and of course, the very act of putting together a study plan could be used to procrastinate- keeping busy at the expense of actually doing the work. Do not worry about the aesthetics of your plan – focus on the effectiveness of your plan. Unrealistic schedules Have proven to be another challenging barrier to overcome. Nobody can study effectively for 15 hours a day. An effective plan is one that is based on realistic expectations. Taking regular breaks is important and should include opportunities for fresh air and exercise. Taking a decent break every hour or two will benefit almost all students so make sure your study schedule includes regular breaks and then stick to the schedule to ensure you are taking the breaks and also doing the work. Take 20 minutes before you go to bed to revisit key ideas. Make it part of your bedtime routine.Wash face, brush teeth, read notes. 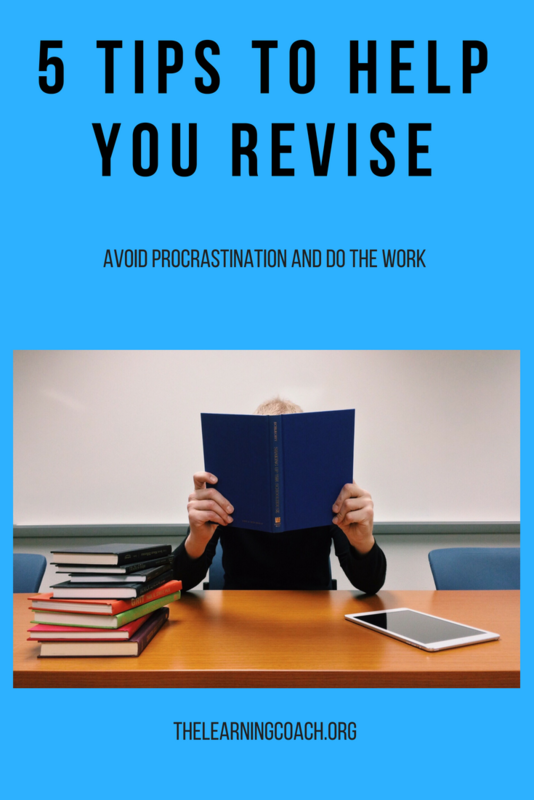 Getting started can often be the biggest hurdle we face but remember that any revision is better than no revision and structured revision is better than haphazard revision. Set a plan, use your time effectively and work to build little extra study bursts into your day! 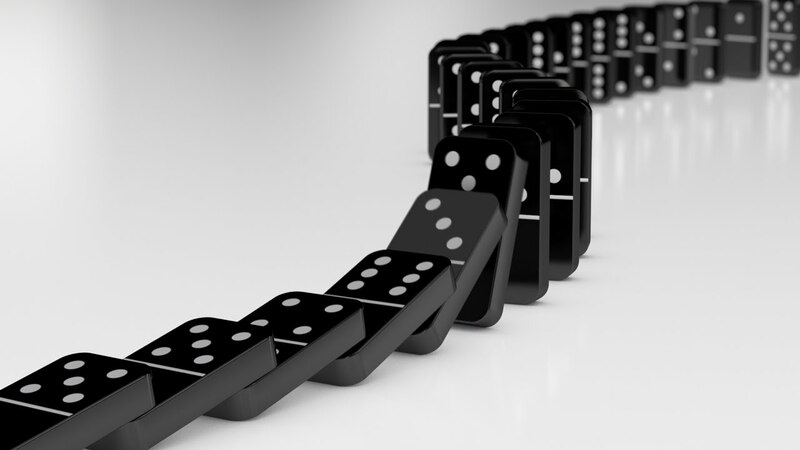 Imagine a line of dominoes. They will remain stationary until the first one is given a push. Then providing they have been lined up correctly they will topple over one by one. I find this useful when thinking about any task that needs to be done. It can be hard to get started but once you start and are in motion it is easier to continue. For that reason I find the 20 minute kick start strategy particularly helpful. You know you have a ton of school work that needs to be done. You have page after page of reading to do and you feel like you are sinking. Thinking about all there is to do is daunting and enough to make most people want to run and hide under a blanket. What you need to do is make all that needs to be accomplished seem more achievable. Tell yourself you are going to do 20 minutes of work. Commit to 20 minutes of your best effort. Set an alarm and then start work. After 20 minutes you may find that you are engaged in a task or reading a chapter that you want to finish. If that is the case just keep going. If after 20 minutes you have had enough – walk away. Don’t sit and procrastinate. Don’t pretend that you are working while scrolling through facebook or mindlessly surfing the internet. If after 20 minutes you need a break – go and take a break. Find something else to do that is productive and good for your health and wellness. Then when you feel ready, sit back down and do another 20 minutes. It is as easy as that and remember – small chunks of time combine. Try and remember that every single person faces obstacles in their life. For some people, their obstacles lie in physical challenges, others struggle when they are required to be creative. Some people fall apart when they are asked to speak in public and some people find academic work more challenging than others. Embrace your obstacles and you will feel the satisfaction that only comes when we stretch ourselves and face challenges. It is time to push yourself out of your comfort zone to be the best version of your student self that you can be. Sometimes the easy way out is to give up and you need to actively fight against this urge. I know it is strong because I’ve been there. I have been so worried that I wouldn’t achieve the very highest grades that I have decided not to really try and so embarassed that I was finding something too difficult, that I just ignored it and hoped it would disappear. The worst thing you can do as a student (and in life) is to compare yourself to someone else. It doesn’t matter what anybody else achieves. Over the years, I have seen hundreds of students measure their value against that of their peers, never taking into account each other’s strengths and the obstacles faced along the way. Your goal should simply be to know that you have tried your best and if you have, then know that whatever the outcome – it is okay. The importance of getting organized! Once upon a time I was a very disorganised student. I grew a pile of muddled notes at the side of my bed and became more and more stressed as the pile began to flourish and take over my bedroom. It’s impossible to study effectively if your notes are not organised. How can you revise key concepts, consolidate your learning or take your understanding to the next level if your class notes are hidden under a mountain of muddled papers? The answer is that you can’t – at least not easily. This is what I know for sure. Your teachers will give you handouts that they have painstakingly prepared for you. They will try their best to help you succeed because their livelihood depends on it and also because most people who enter the teaching profession do so because they care about helping students learn and reach their potential. Treat these handouts and course notes well. File them carefully using an actual system rather than just shoving them in your bag to get all scrunched up or just putting them on top of an unorganised pile. Try to get into the habit of filing your notes at the end of every day or at least at the end of every week. Being organised doesn’t take much time, you just need to commit to doing a little bit every single day. If you do, you will always know where to find what you need when it is time to study for a test and it is much easier to keep track of any notes that may be missing too if you keep things in good order all of the time. If you keep all of your notes electronically – again organisation is really important. Be disciplined and keep things in folders and files that are easily accessible. Backup your notes regularly in case your laptop decides to die or store your notes in the cloud if it works for you. Whatever you do- don’t clutter your desktop with masses of files. It can be very stressful to open up your laptop and see hundreds of documents and folders glaring at you so just don’t do it. Finally my top tip is to organise to music. I am not a natural organizer and for this reason I find it helps to tackle organisational tasks while doing something that I find more enjoyable like watching TV or listening to music. It is perfectly acceptable to file documents in your folder while you watch your favourite movie whether we are dealing with hard copies or digital copies of your files. Set aside some time, get comfortable and get organized!